Visalia, Calif. (October, 2017) – Hellwig Products, an industry-leading manufacturer of towing, hauling and performance suspension products, has just released front and rear sway bars for lifted 2017 Ford F250 and F350 Super Duty pickups. These upgraded sway bars improve handling and control during everything from daily driving to heavy duty towing and hauling. The Ford Super Duty line of pickup trucks has long been a workhorse tasked with everything from family vacations to commercial hauling. But the new 2017 F250 and F350 Super Duty trucks have also become extremely popular among lifted truck and off-road enthusiasts. With lift options ranging from mild to wild, adding an upgraded sway bar quickly becomes necessary due to the altered center of gravity of the truck. Now, Hellwig has announced new applications for its forged sway bars designed specifically to meet the needs of these large, lifted trucks, delivering drastic improvements to handling and body roll control, making the truck safer and more fun to drive. 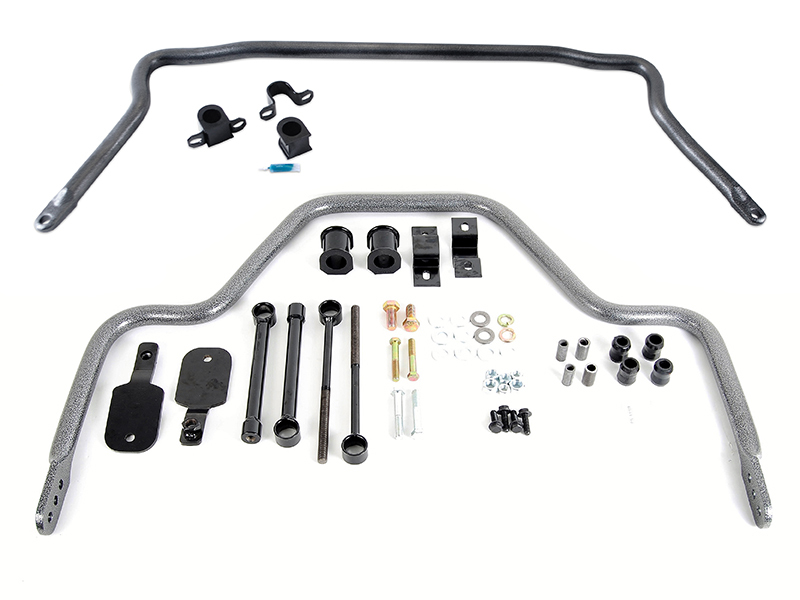 Hellwig Products offers an upgraded 1 5/16-inch solid front sway bar (Part #7712) for F250 and F350 trucks with a 2-inch lift, 4-inch lift and 6-inch lift. The larger Hellwig front sway bar replaces the undersized factory bar and, when combined with the added larger Hellwig rear sway bar, provides the ultimate improvement for daily driving and tow/haul. In the rear, Hellwig’s Big Wig 1 1/8-inch rear sway bar is available for trucks with a 2-inch lift (Part #7761) or 4-inch lift (Part #7846). The Big Wig rear sway bar is designed specifically for heavy-duty applications for both two-wheel and four-wheel drive, as well as both single rear wheel and dually trucks. These bolt-on upgraded bars are forged from 4140 Chromoly steel, heat treated for durability, and feature a forged 3-hole adjustable end to allow you to tune the bars to your exact load and driving style. Hellwig sway bars can be installed in a few hours with simple hand tools, come with all necessary parts and hardware, are made in the USA and come with a Lifetime Warranty on all steel parts. Helper Springs are already available for this application and air springs and sway bars for lifted vehicles will be coming soon. For more information on Hellwig’s lifted 2017 Super Duty sway bars visit www.HellwigProducts.com.